OKWAVE USA, Corporation's free online greeting card service, Davia, now offers more than 100 Mother's Day greeting cards. OKWAVE USA, Corporation's eCard service, Davia, has released more than 100 free Mother's Day greeting cards. There is no limit on the number of cards a user can send. In 2017, the most-sent Mother's Day card was "Stunning Flower Happy Mother's Day Card," featuring a design of beautiful blooms. Another popular card was "Tulip Happy Mother's Day Card," which featured pretty pink tulips. The common trend among last year's Mother's Day cards was flowers with warm pink color tone. This year, Davia has enhanced its variety of Mother's Days cards to celebrate all moms. For example, they added categories for Sister and Daughter. Davia also expanded their funny Mother's Day card lineup. 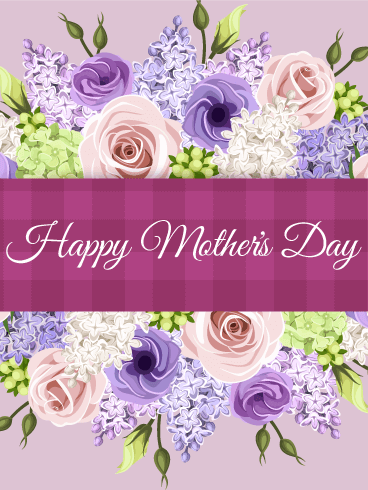 "Mother's Day is the perfect time to express your appreciation to your own mom or any special mom in your life," says Tatsuo Yada, CEO of OKWAVE USA, Corporation "Don't miss the chance to reach out by sending a card they'll all love." OKWAVE USA, Corporation operates Birthday & Greeting Cards by Davia, which is a 100 percent free e-card service. Davia offers more than 3,000 free e-cards as well as customizable birthday calendars and reminders. Davia has served over 14.5 million users since its inception. For more information visit: https://www.holidaycardsapp.com/. OKWAVE USA, Corporation is the U.S. subsidiary of OKWAVE (3808.NG. ), which offers the Japan's first social Q&A web service and enterprise class help desk solutions. OKWAVE has received strategic investments from Rakuten and Microsoft. For more information about OKWAVE USA, Corporation visit: http://corp.okwave.com, about OKWAVE visit: https://www.okwave.co.jp.